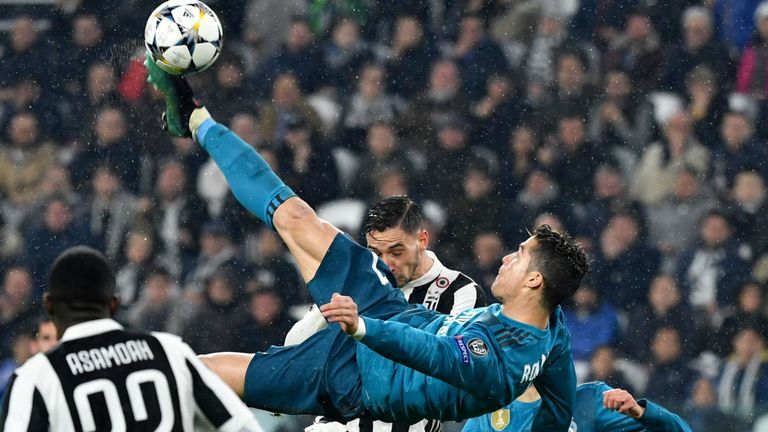 Ronaldo's strike, which was applauded on the night by his opposing fans, topped the poll with nearly 200,000 of the total 346,915 votes. He succeeds his new Juve colleague Mario Mandzukic, who won last year for his goal against Real Madrid in the UEFA Champions League final, while Lionel Messi took the award in both 2014/15 and 2015/16. The five-time Ballon d'Or winner took to Instagram after hearing about the award. He wrote: 'Thanks to everyone who voted for me. Will never forget that moment, especially the reaction of the fans in the stadium."